This chocolate arrangement is the perfect gift for the Ferrero Rocher lovers in your life. 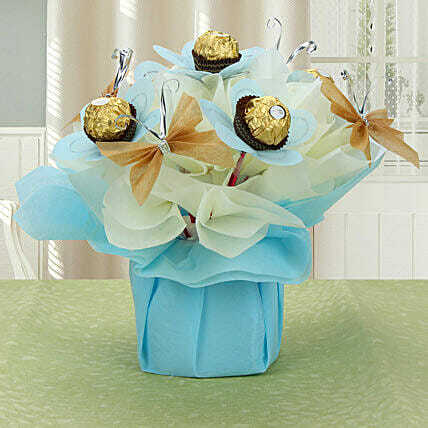 So, take this decadent Ferrero Rocher arrangement with you when you want to surprise them with a pleasant gift. This would be a perfect gift to make a lasting impression on your loved ones.